Windowed entry and side doors make more than impression on your visitors. They bring the delight of warm, cheery radiance into your home no matter the weather. This glass door is designed to create interest while complementing your interiors. Double-glazed and special coating options can increase the value of your home while lowering your energy costs. Today's materials offer exceptional versatility in colors, sizes, and styles that fit your life. 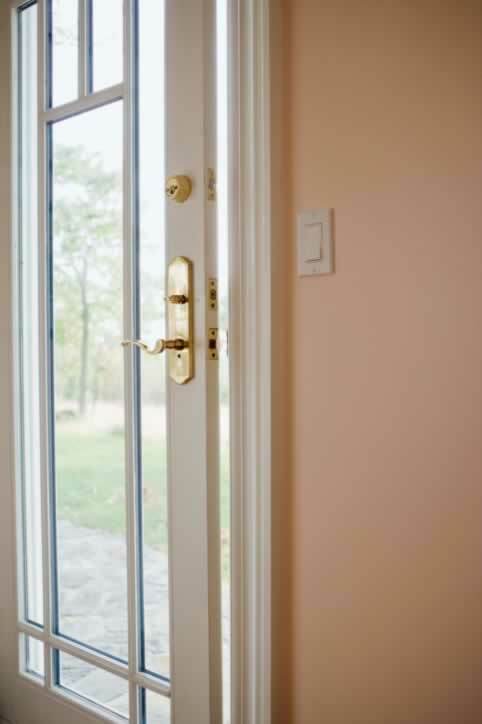 Strong, secure hardware harmonizes the overall historical accuracy of your new or replacement door without sacrificing on security. The combination of locks and latches on this glass door, combined with its narrow panels, offers incomparable security in an attractive package. And you'll love the ease of maintenance required to keep your glass door looking as sweet as the day it was installed.